Traditionally cultivated in the Chiang Mai region, in Northern Thailand, this exceptional rice is a brown rice whose grain and hull are naturally black. Its long grains, crunchy and meltingly soft, reveal once cooked a wonderful hazelnut flavor. 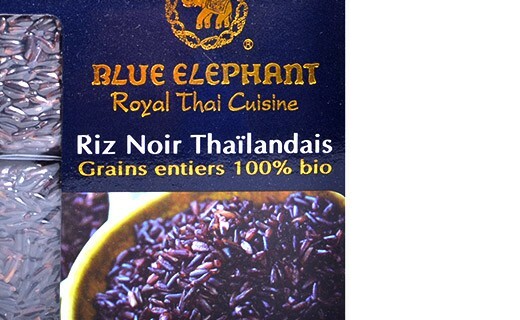 Wholesome and very nutritional, it is a great choice for your salads, and will be great along any of your meals. 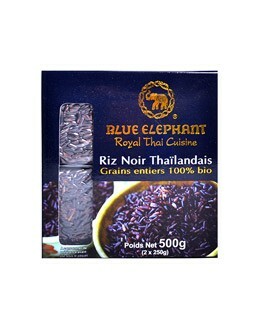 Organic Thai black rice 100%. Pour a bag (250g) in a pan. Add two cups of water. Add salt. Once boiling, cover and keep at a very low simmer for 25-30 minutes. Take out of the fire and keep it like this for 5-10 minutes. Serve.